Stars on Ice World Class Figure Skating Show in Shanghai will be held at Mercedes-Benz Arena (Shanghai Expo Culture Center) on Sept.16, 2018. If you choose the self-pickup option, which means you need to come to our Shanghai office to pick up the tickets after payment, NOT the venue. Guangzhou Branch: Shanghai Branch: 1st Floor, Shenxin Building, No.200, Ninghai East Road, Huangpu District, Shanghai. Stars on Ice, The most popular figure skating show in the world, was founded in 1986, USA. There are over 1500 shows played globally for 32 years. 14 world class athletes and more than 6 Olympic medalists participated in each performance, which with superb skating skill and artistic expression. Evgeni Plushenko, the most popular ice star in the world. Zhenya Medvedeva, the Russian figure skating goddess. Yuzuru Hanyu, the super figure skating star of Japan. The Nathan Chen, the most talented American born Chinese, Chen Lu, Chinese first world champion, Shen Xue / Zhao Hongbo, the first Olympic champion of pair in China, and Pang Qing / Tong Jian, the Chinese figure skating couple stars. They had been invited to show on the stage of Stars on Ice globally. On September 16th, Stars on Ice came into Shanghai for the first time. It will be in the Mercedes-Benz Arena to witness an unforgettable figure skating show with you. 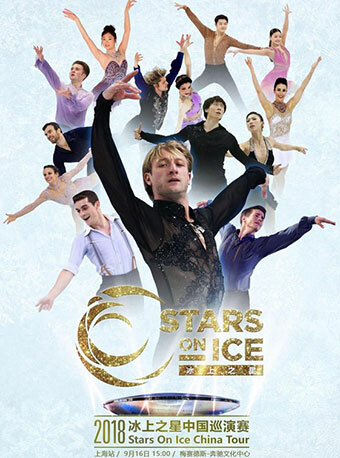 Stars on Ice is the Sports Feast of Figure Skating, Ice Dance and Live Music. To respect the 3rd anniversary on success of the 2022 Beijing Winter Olympic Games. The show of Shanghai will be specially set up the Olympic classic programs, the stars will the splendid Olympic classics they have shown.